Kenmore-brand appliances are available for purchase at many appliance, home retail and department stores and include items such as refrigerators, washers and dryers, stoves, microwaves and dishwashers. The Kenmore 665 dishwasher includes such features as a water feed tube, an overfill protection float, detergent and rinse aid dispensers, and lower and upper spray arms. While the 665 dishwasher should work as expected, problems may happen occasionally. For instance, you may try to wash a load of dishes only to discover the dishwasher will not start. Troubleshooting this issue may help identify a solution. Ensure that the dishwasher is connected to a working power supply. Check the local fuse or circuit breaker and restart as necessary. Open and shut the door firmly until it latches into place. 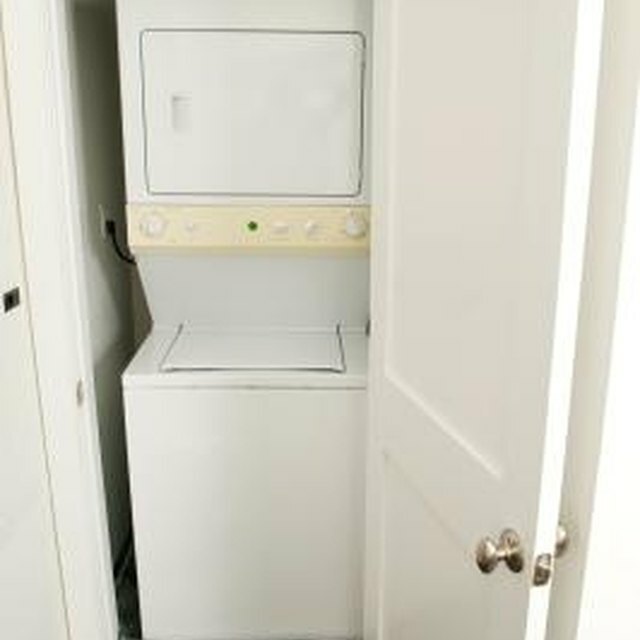 The dishwasher will not function if the door is not latched into position. Select the desired cycle and press the cycle button firmly, as you must choose a cycle in order for the dishwasher to begin operation. Look at the water valve that is connected to the dishwasher and ensure it is turned on. Turn off the dishwasher and unplug it from the power supply to reset the unit. Plug it back in and select a new cycle. Select "Start." If the dishwasher still does not start, contact an authorized service technician.